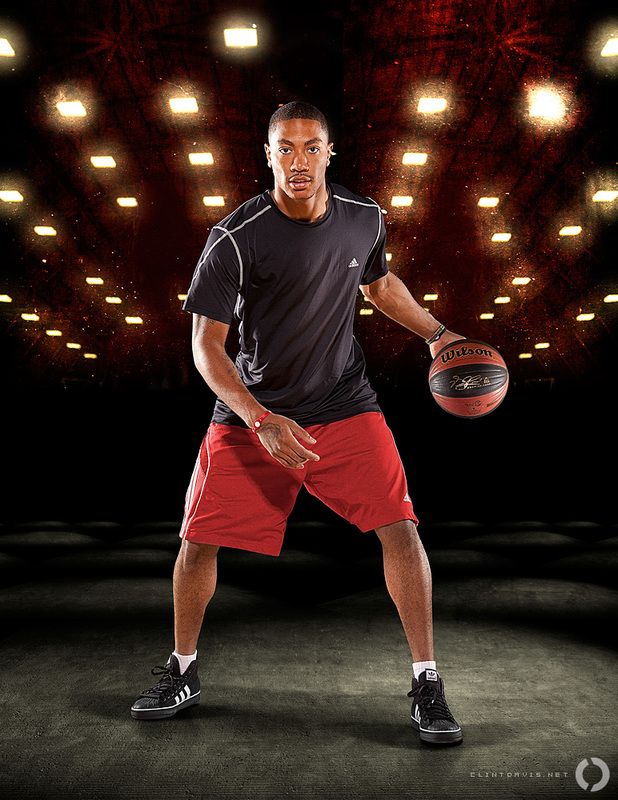 Last year I got the call to shoot Derrick Rose for Power Balance, and since it’s the start of the new 2012 NBA season I thought I’d show off a few images. Needless to say before Derrick was named the youngest ever NBA MVP, he had achieved a long list of accolades and I had to hold back my child-like enthusiasm for having Rose in front of my camera. The location was the HAX Athletic Club basketball courts south of Los Angeles. Like most shoots with high-profile persons, this one was short. My lovely assistant Lauren and I had roughly 15 minutes of shooting from first shot to last. No worries, I had more than enough images to mess with when I got home. Despite the short time-frame of the shoot, Derrick was very kind enough to personally come over to me while I was packing up my gear and say a genuine “thank you” and pose for a picture with me. Definitely a moment I’ll never forget. The Chicago Bulls instantly skyrocked to my 2nd favorite team, and DRose easily my favorite NBA player… C’mon I can’t be a bandwagon jumper, go Suns!